You’ll be allotted 35 minutes to write a response to a prompt on any topic. These topics typically aren’t related to the law, but the prompt will always ask you to assess two side of an issue and defend one. The writing sample is a test of not only your writing ability, but also your ability to take and convincingly argue a position. It’s your chance to demonstrate the argumentative writing style that’s required for success in law school. Though the LSAT writing sample is unscored, that’s no reason to not take it seriously. LSAC will send your writing sample along with your LSAT score to every school that you’re applying to. Admissions officers commonly use the writing sample to ensure that your writing skills really are up to par, and that the voice on the sample matches the voice in your personal statement. After all, tutors and admissions coaches can help you write and edit your personal statement until it’s flawless, but you’ll be on your own for the writing sample! Admissions offers may also turn to your writing sample to help them evaluate and select students with relatively similar numbers and backgrounds. You might be thinking that a 35-minute writing sample will be pretty easy. The English major in you has written dozens upon dozens of papers through the years, some even timed. An unscored writing sample will be a breeze, right? 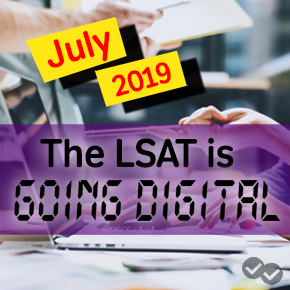 Not so fast – remember, the LSAT writing sample must be done quickly. While the writing sample isn’t necessarily difficult, it will still present a mental challenge. Ready to ace the LSAT writing sample? Check out some of our favorite writing tips. • Spend a few minutes brainstorming your response. Don’t jump right into writing without organizing your thoughts first. With only 35 minutes to write your essay, you don’t want to put too much time into brainstorming, but it’s always a smart move to map out your ideas before putting paragraphs down. • Leave a few minutes at the end to review your work. You’ll be writing under time constraints, so you might make a few spelling or grammar mistakes. Don’t let those kinds of “easy fixes” distract a reader from your main argument – save some time at the end so you can make any necessary edits. Mechanics count! • Stay on prompt. Don’t deviate from your thesis – your task is to pick one side of the topic you’re presented with and stick with that one topic. • Organize your essay format. Start with an introduction paragraph that explains the issue and its two sides, then pick your stance in your thesis statement. Follow up with at least three points to support your stance, and refute the side that you did not select. Don’t forget to write a conclusion paragraph that ties your ideas back to your original thesis statement. • Pace yourself. Watch the clock as you write. Spending too much time on the introduction and leaving just five minutes at the end to cram in three body paragraphs and a conclusion is not likely to impress admissions officers. • Pick a quiet place. Beginning in July 2019, the writing sample will be offered online, and test takers will be able to choose when and where to take this portion of the test. Be sure to pick a good spot to test where you won’t be interrupted! 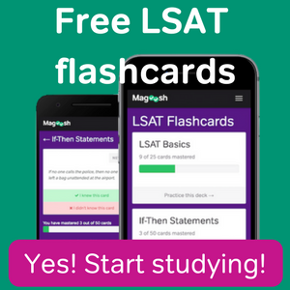 Looking for more on what’s tested on the LSAT? Check out our Analytical Reasoning and Logical Reasoning Libraries for tons of resources on those sections of the exam.